Here are some facts about Harry Houdini. Harry Houdini is one of the most famous magicians and escape artists of all time. His name is still used to describe someone able to escape from a difficult situation. Houdini was born Harry Weiss, in Hungary in 1874. His family emigrated to America and Houdini changed his name to show his admiration for the French magician Eugene Robert-Houdin. He was famous for his dramatic escapes, many of which were incredibly dangerous. He escaped from handcuffs, tanks filled with water, from strait jackets, prison cells and when hanging upside down from buildings. Houdini owned his own film company, the Houdini Pictures Corporation. He also invented a type of diving suit and was one of the first people to fly a plane in Australia. One of his most popular escapes was from a large milk can filled with water and locked shut. He also escaped from being buried alive 6 feet under the ground. Houdini starred in several films, often portraying himself and carrying out spectacular stunts. 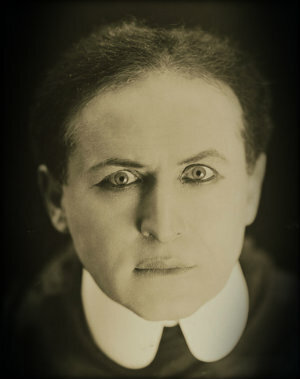 Although his films were not very successful, Houdini was given a star on the Hollywood Walk of Fame. Harry Houdini spent a lot of time proving that spiritualists were fake. 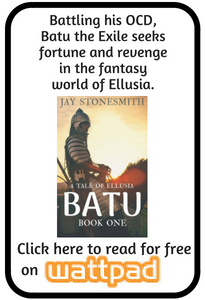 He offered a cash prize to anyone who could prove supernatural power – the prize was never claimed. Harry Houdini died on Halloween night, 1926, in Detroit, after a fan punched him in the stomach before he could prepare for the blow. Houdini was diagnosed with acute appendicitis but decided to performed his act, rather than have surgery. He died of peritonitis. Houdini agreed to communicate with his wife after he died, if it was possible. To this day, a séance is held every Halloween in the hopes that Houdini will communicate from beyond the grave. There is a Houdini museum in Scranton, Pennsylvania. There is also a permanent display of memorabilia in what he considered to be his home town, Appleton, Wisconsin.